The stylish Avanti is a superbly efficient convector that is available in two distinctive formats: the Riva 53 gas fire and the Riva 67 gas fire. The Riva 53 gas fire features a driftwood-effect fire whilst the landscape Riva 67 gas fire has an authentic log-effect fire. All have the built-in comfort of adjustable heat and flame height to exactly suit your mood. Each model comes complete with a brushed stainless steel front. 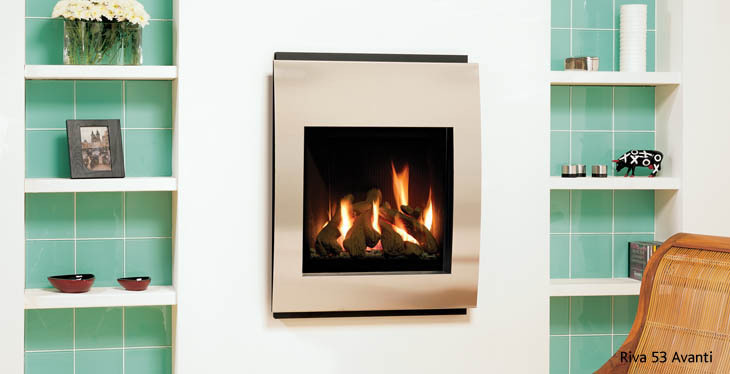 Whichever your preference, you can be sure the Riva Avanti gas fire will provide a striking focal point at the very heart of your home.